We’re happy to inform you that the NavRoute app has been updated and improved. Several aspects of it have been altered or added to for a better user experience. 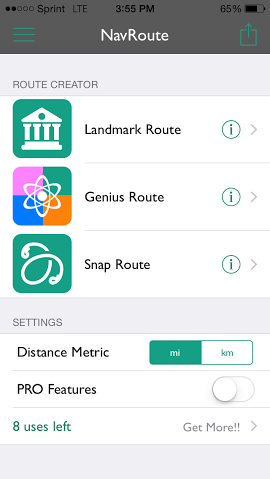 For instance, you will now be able to see your recent route history, as well as save routes for later use. This way, if you run a route that you like and want to use again, it will be easily accessible. We’ve also added new user experience improvements for editing routes. These are just a few of the updates and improvements that have been made to the app, all to improve the experience of using it. We hope to always improve your experience with our apps, and we really believe these changes will help with that!